My home studio was awash in paints and tools and papers for a Gelli™ Plate Printing Party. The results will end up in journals, canvas backgrounds, book covers, ATCs, greeting cards. 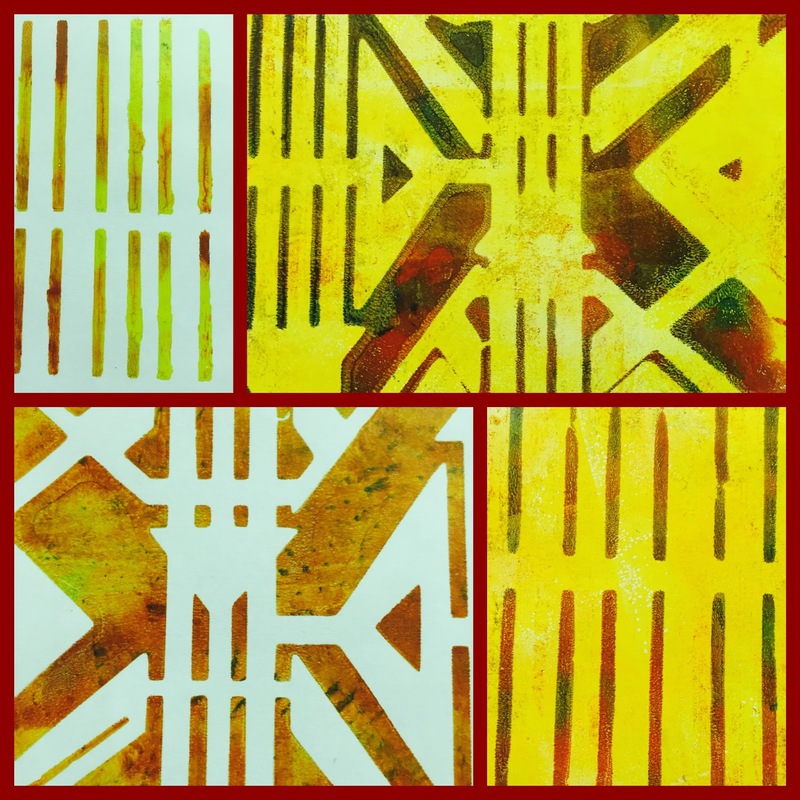 So many uses for the luscious results from some of my students using my stencil designs. We had as much fun creating and making messes, as we did visiting. 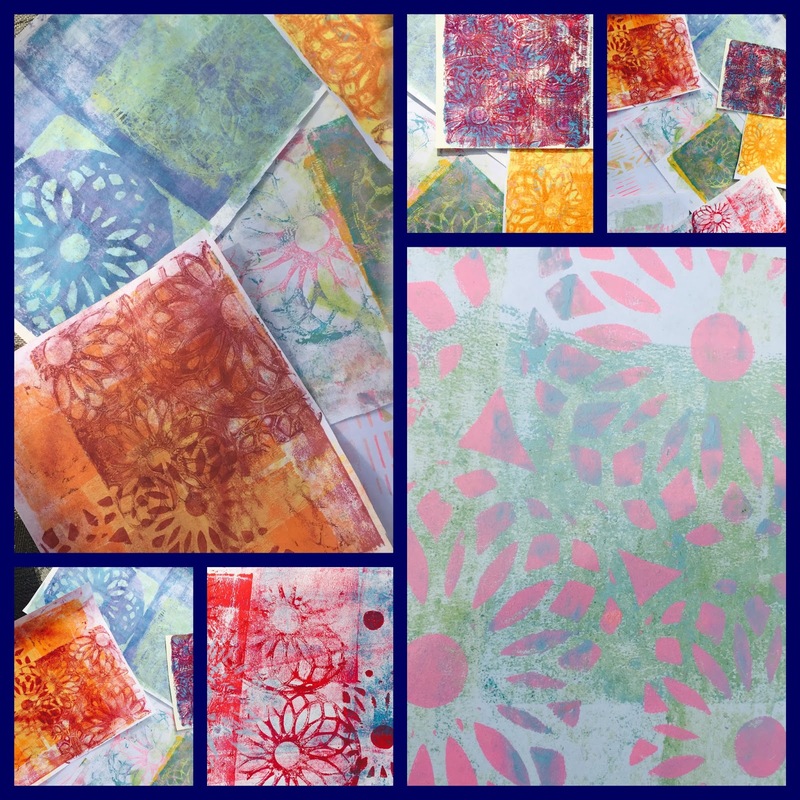 What did we ever do without Gelli Printing Plates, acrylic paint, mark-making tools and stencils??!!! It's probably one of the most freeing, loosening up thing we can do before settling down to finalize a project....or maybe just get the ideas flowing for a new project. The only people I know who don't enjoy this, are those who care about their nail polish - gloves are always at the ready in my studio!! Enjoy a super weekend - Fall is off to a GREAT start in Michigan! !